Everyone asks me about my name. It all started years before I was born. You see, my father promised his best friend that they would name their first boys after each other. But, by the time I was a bump in my mom's belly, they already had two girls. My mom declared "this is the last one...the name is promised whether it's a boy or girl." And she kept her threat word. So here I am, Michael Suzanne. My family and friends call me 'Mike'. Living life with a man's name has been full of highlights. I always got letters to play football when I was in school. Mom even called one summer to try to sign me up - then she told them I was a girl. That was that. I got my notice to register for the U.S. military draft when I turned 18 - something only required of boys at the time. And when I went to university, I got a letter inviting me to join a fraternity house. It was never easy when I dated guys named 'Mike' - yes, that happened - and it works wonders with telemarketers when I tell them "HE'S not home." Best of all? I received the compliment of my life when a mentor told me that no other woman could carry off the name like I had. That's the one I always carry with me. Sweden now claims me as one of their 'love immigrants' - I never returned back to the States after meeting my Swedish hubby at the train station while traveling across Europe. Eleven years and two kids later, my experiences of making my way in Sweden are chronicled in my other blog called 'The Accidental Swede'. Culture shock? Check! But my passion is here - with Blue Velvet Chair. It's real, you know. The chair. It represents my joy of seeing the ordinary become extraordinary. Or creating the unexpected instead of the expected. I found the chair at a garage sale in Phoenix (Arizona). She was a brilliant blue velvet with an awkwardly pale pink Gustavian-style frame. She was bold...and she was mine! Entire rooms have been designed around this chair. I had to leave her behind in my move to Sweden, but we were finally reunited after an entire decade apart. 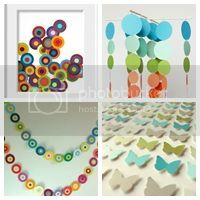 It was a 'return to me' that triggered this blog - a place to showcase and share recycled, repurposed, and reloved arts and crafts. I hope your life has a blue velvet chair, too! Came over from Prudent Baby... My name, Tristin, is *technically* a man's name, though very feminine--and I named my daughter Elliott to follow the male name theme. I love your name--and have enjoyed perusing your blog. I'll bet Sweden is an awesome place to live! 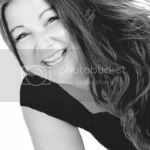 Hey Mike it's Helen from the blog group - I was instantly curious about your blog because of that blue velvet chair! In High School a friend and I were in England and we became obsessed with blue suede shoes and she actually found some so I have a fond memory attached to that type of fabric ever since :) You're brave to move to another country I look forward to reading more! Hi Mike. I love your name for you! I am looking forward to following your blog. I was expected to be a boy t be named after my grandfather. I am glad the spelling was changed as, at the time, it was an uncommon spelling. Do your girls have stories behind their names? I appreciate that 1. You think outside the box and 2. Your thriftiness, recycle and upcylce attitude. I named my daughter Mikeal and we call her Miss Mikey. I have always loved her name. Everyone remembers her and it has definitely shaped her personality. She is a very beautiful girl with blue eyes and curly hair. Very feminine looking but a huge tomboy. Loves to hunt, raises horses and cattle, even played football on an all boys team until she was 13. They wouldn't let her after that. She even rides bulls. I always felt like her name gave her the independence and courage to do whatever she wanted. So glad that there is another Mike that loves her name! Honey, I'm glad you like your name. I've never been sure of that, and I'm soo proud of you. Mu husbands name is Michael, its a great name! My father named me Cary. Sigh. But even though I changed my name to Carolyn when I was 10, I've really never been anyone but Cary. My name is Rebecca, and I have a Green velvet chair. What a lovely story (and blog). You just saw that i made a blue velvet chair on suitsandaprons.wordpress.com, and soon i will start reupholstering a similar chair in the same shade. So happy you reunited with your blue velvet chair. It's lovely! What an awesome bio! I found you through JUNKMARKET Style. Welcome! I look forward to seeing more of your creations both here and on JMS. Looking forward to browsing your blog! Found it via pinterest color chips pin. Then I saw your tree branch curtain rod which is all over pinterest next to my tree branch curtain rod! Great ideas, would be fun to hang out for a day! 'Found you, or your blog on the magazine rolled mirror on favecraftsblog. This site, Blue Velvet Chair is trully inspirational! I love your attitude of life, art, upcycling, your name, etc. It's good to find upbeat people in the world today. I'm looking forward to visiting often and sharing with my other art peeps. Thank you. 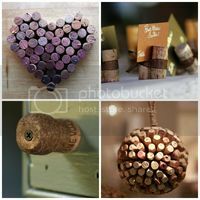 hey, mike... found you via pinterest and love your features of the wacky and wild recycling design world...esp the anthro cork video! I just stumbled across your blog via craftgawker and can't believe you live in Sweden. I'm British and just moved to Norrkoping last week. 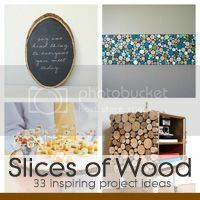 I was actually looking for some craft inspiration before going craft supply shopping tomorrow! I don't suppose you know Norrkoping at all or can recommend where to try to find supplies? *The long pause after you introduce yourself ("Are you sure your name isn't Michelle?" Oh, I'm sorry you're right. My parents and I have been pronouncing my name wrong my whole life! "Yes, like the boys name." *Every year a new teacher...Mickall? Mickel? Mickail? -Maybe I just get that because mine is spelled different? We must have the same parents. I was name after 2 of my Dad's friends and my friends and family call me "Mike"
p.s. You just made my year!! OMG! I've only met 3 other women with the name in all my 45 years... SO cool! I've been asked a million times "Are you sure it isn't Michelle?" And the teachers never quite knowing what to do when they call the name and I raised my hand. That is just too great. I tried to click through to see how to get ahold of you - but didn't get anywhere. I wonder if you'll see this. We have a good friend in San Diego and we're thinking about going there when we come over to the States for a family visit this summer. Wouldn't it be fun to meet? Hi, just found your blog today. Im also a woman named Michael...Michael Marie, i too have heard it all! So funny how EVERYBODY knows how to spell Michael until its a girls name! Im 47 today & live in Missouri. Not many of us out there...love your idea's, keep'um coming. Hi Mike ...today I literally spent hours on your pinterest boards. You are a girl after my own heart, style and craftiness.....Thanks for the fun!! You're welcome! Come have a seat in the blue velvet chair anytime! I find it so amazing how people can share similar style, colours, elements and shapes. As soon as I clicked on the blue velvet chair I got a sense of familiarity. Glad you found your way here. And I hope your photographic memory brings you back often. I agree with you about how amazing it is that we can share similar aesthetics - without having ever met. Isn't that wonderful when it happens? 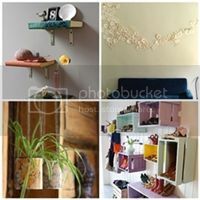 I am writing an article for HGTV.com and wondering if you can help. 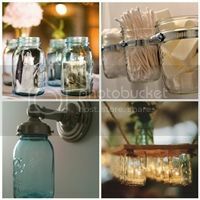 The article is on trash to treasure ideas you can use in the garage for storage/organization. I was wondering if your craftiness reached into that area. If you have anything I could use in the article, the story would credit you, use your instructions and photos, and have a hotlink back to your blog or site. Do you have anything that would work and if so, would you be willing to participate? Oh, Sharon - I wish I did! When is your article due? Perhaps I can whip up some fun and funky scrap storage for the garage. Hi, I've giving you the Kreative Blogger Award. I link to you here. I came across your site recently and I enjoyed looking around. 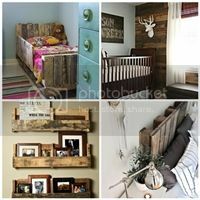 Great repurposed projects. My daughters real name is Allison, but no one ever calls her that, she has always been Al, and when she would start a new class, teachers would look at her weird, because they had heard of Al but did not know that she was really a girl named Allison. And she could definetely carry off just being named Al! 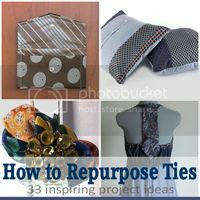 Found your site through pinterest and so glad I did. 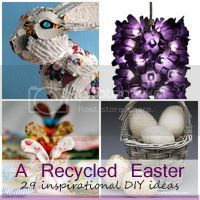 I work for Habitat for Humanity and my office is in the ReStore and you provide wonderful ideas for reusing!! Hi ! I came across you blog and I like it very much !!! Realy wonderful ideas, congratulation. your site is AMAZING! thank you for all the wonderful ideas! looking forward to trying out some stuff. My son's shares the same name as u, and i totally Love the name itself.